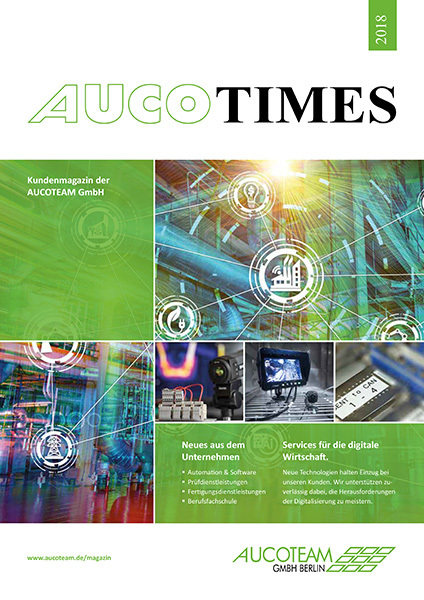 Our customer magazine entitled AUCO TIMES is a source of information published once a year for customers, business partners, friends and members of staff within our business, and covers the highlights of our work. It contains a vast and colourful array of projects that our engineers have been hard at work on in recent months for the benefit of our customers. 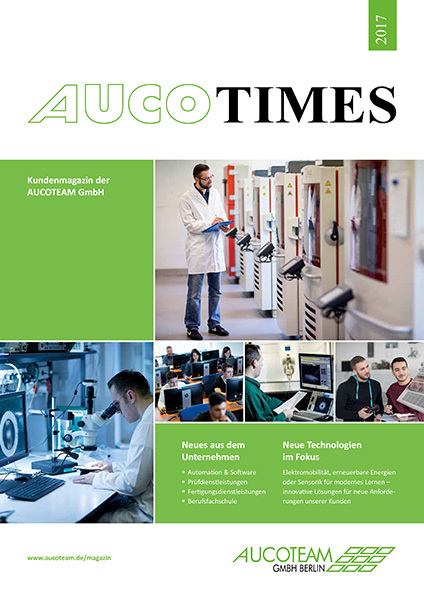 It also contains reports on R&D ventures that we are participating in, as well as information on innovations from the AUCOTEAM portfolio. If you want to read one of the editions switch to the German version of this page. 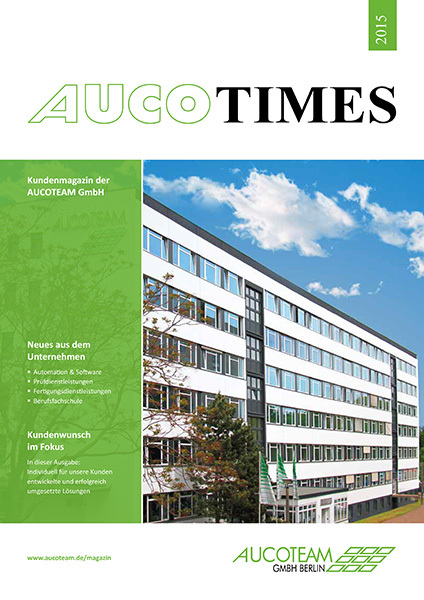 The customer magazine AUCO TIMES is published yearly in an edition of 1.000 pieces. The anniversary publication to mark the company’s 25th anniversary has been printed in an edition of 800 pieces.